First, focus on broadcast networks. Even if you don’t have an antenna yet, you can pretend you do by only watching the stuff on local TV. Just pretend that any channel over 68 on your cable box isn’t there, and see what is there. Even better, use a free app like the TV Guide app instead of your cable box’s guide. This will give you a better idea what life will be like if you go with a 100% free solution. Ignore the pause button, and drink a large soda. [ There are some choices for pausing live TV if you’ve cut the cord, but they’re not as mature or as robust as the DVR you’re used to using. While watching live TV, guzzle a big drink and wait an hour or so. If you can go back to waiting for the commercials to roll before taking a break, you’re probably well-suited for a totally free solution. Otherwise you might want to consider a solution like our iView 3500STB which will let you add a hard drive for some limited DVR function. It may not be a life-saver, but it’s a bladder-saver. Look at your options for watching stuff online. A lot of content is available through iTunes and Google Play, and even more can be found at provider web sites or apps. The problem is, you’ll need a way to get this stuff to your TV. If you’re on the Apple side of the street, the answer is obviously the AppleTV box, but for Google, you have to choose other alternatives. Some of them let you “cast” content from your phone to your TV and others have really robust app selections. Take a good hard look at what you actually watch and where you watch it. If the tablet or PC is good enough, then you’re probably set, but for a living room watcher, you’ll want some way of getting it onto the big screen. Be honest with what you actually watch. If you really want a research project, the prospective cord-cutter should write a little diary showing what’s actually being watched and where. All the top-rated shows are on broadcast, and that’s going to make cord-cutting easier, but if you’re not into sports or cop shows, if house hunting is more your thing, you may find that your options are limited. That’s when a service like SlingTV could come in handy, but like a cable subscription, it’ll cost you. Do the math. You’ll need an antenna for live TV, which is a one-time expense. You’ll probably need some sort of streaming device and maybe some sort of DVR. Those are one-time expenses too. But take a look at the stuff you want to watch. If you’re looking at Netflix, Hulu, HBO Now, and CBS All Access, you’re in for a little under $40 a month. Add Sling TV and you could be closer to $60. It begins to look pricey all on its own if you want to get close to the same content as cable and satellite. On the other hand, if you just want live TV and you are willing to wait for those “free month” offers for Netflix and Hulu to come into your inbox, you could actually manage to save about $1,200 the first year which is enough to pay for a lot of other stuff in your life that just might be as entertaining as subscription TV. 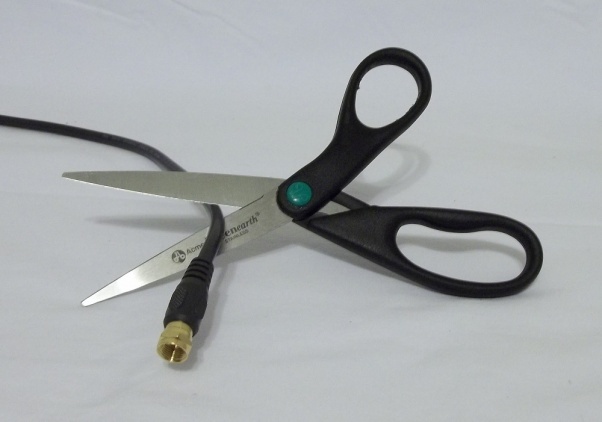 In the meantime, using an antenna for free TV means that you’ll get the most benefit from your cord-cutting experience and you’ll still get access to the really popular stuff.